Here’s a really pretty version of a lovely song. In past blogging marathons I would dig up a sentimental song or two once in a while, sometimes when I was in on of ‘those’ moods. This time, I’m leading up to a special event. With the very wise and welcome assistance of the exceptionally clever and multi talented Jami Gray, who understands how modern, non animal oriented, things work, we have put together a Blog Hop (pause for heralds to blow their long horns). The theme will be Labor of Love. Clever, don’t you think? Labor Day weekend and a great list of Romance authors. Yes! There will be prizes! 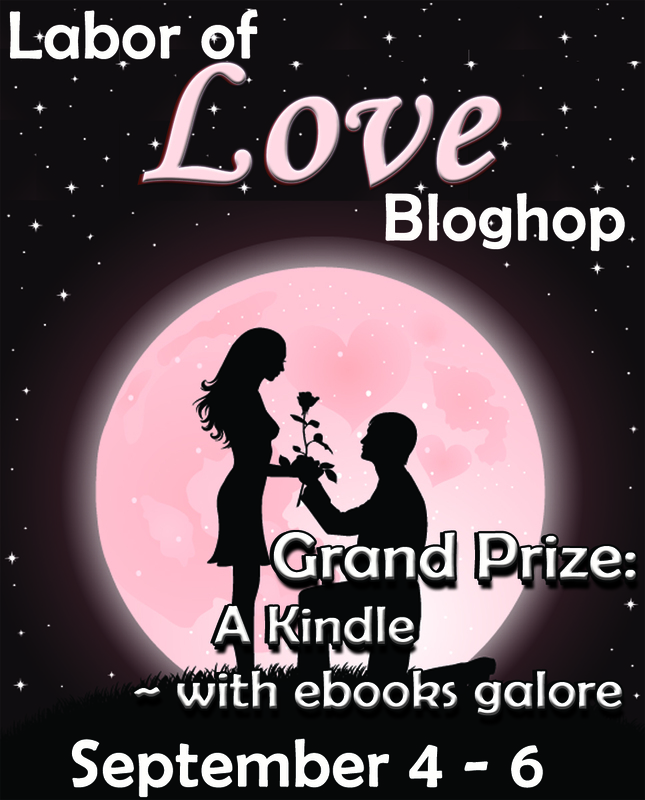 Grand prize is a Kindle. It seems Kindle has become a fairly standard prize BUT this one will come preloaded with books from our awesome participating authors. The winner will be decided by Rafflecopter, which means the more you enjoy yourselves on the blogs, the better your opportunities to win, if not the Kindle there will also be gift cards. How cool is that? What’s also cool is our graphic. Dontcha just love it! I’ll be back with a list of our authors and reminders for you carve out a few minutes and come on down.